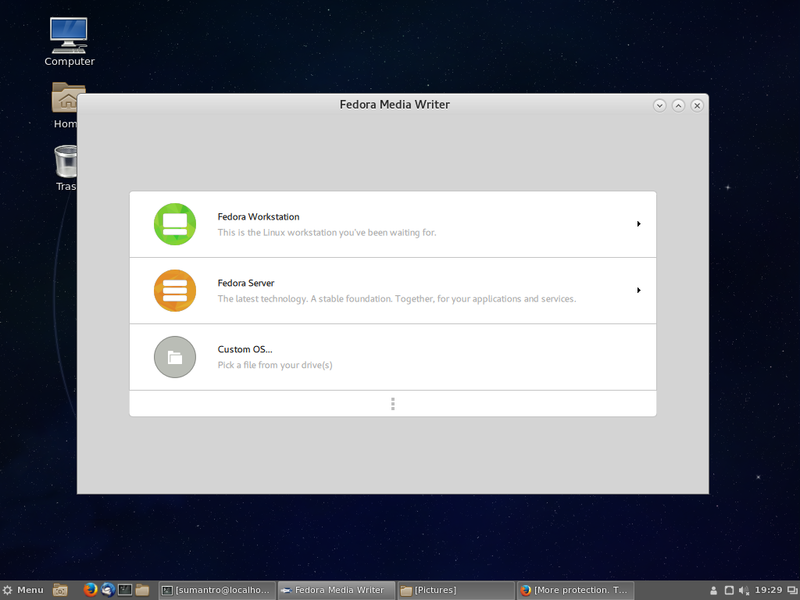 This post will provide a quick tutorial about Fedora Media Writer, and its usage in both Fedora and Windows. 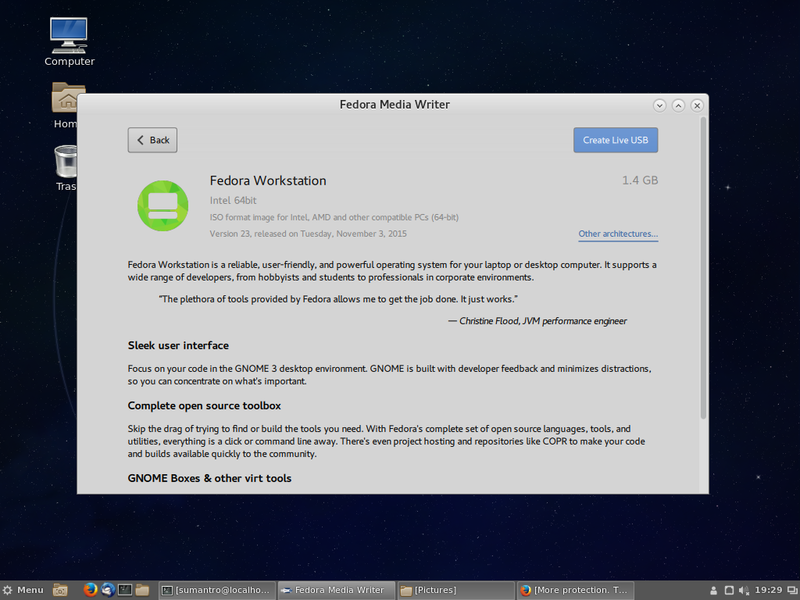 Fedora Media Writer is a very small, lightweight, comprehensive tool that simplifies the linux getting started experience – it downloads and writes your favorite Fedora flavor onto a USB drive, which can be later used to boot up any system. Editor’s note: This also means you can now create Red Hat Enterprise Linux (RHEL) LiveCDs in just a few minutes. Since RHEL was recently made freely available to all developers, you can download the ISO to use with the Fedora Media Writer. You can go ahead can test the basic test cases and post your karma here. Also, you can go ahead and contribute to github with patches. Editor’s note: The Fedora Project also provides multi-platform command line instructions for creating live-USB media.